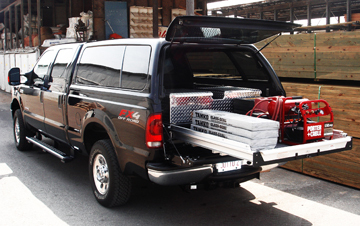 The Ford truck cargo racks job is simple. 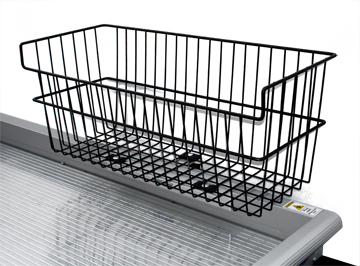 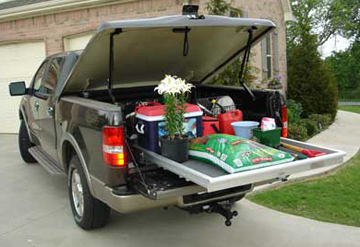 It provides easy access to F150 cargo in a pickup truck on the job site, soccer field or grocery parking lot. 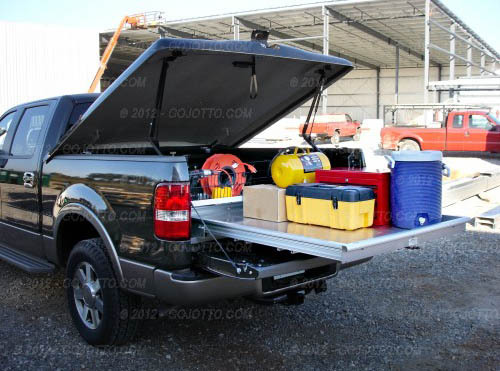 Great for work or play, the Ford truck cargo boxes beautiful yet tough anodized aluminum tray will haul up to 2,000 pounds evenly spaced of what you need most and place it at your fingertips. 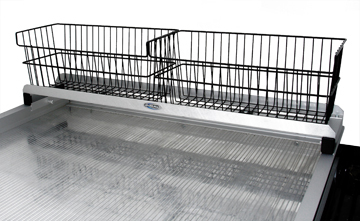 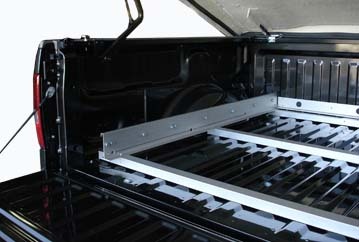 The Ford truck bed cargo is D-I-Y installation friendly. 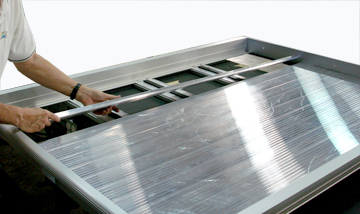 You just provide the plywood floor or buy our optional interlocking, snap-fit aluminum decking.